Despite what seemed like perfect conditions again there was just a thin scatter of grounded migrants across the Point. These included a Grasshopper Warbler, a Pied Flycatcher and two Whinchats of note along with ten Willow Warblers, four Sedge Warblers and five Lesser Whitethroats. Overhead, 600 Sand Martins, 260 Swallows, a few Yellow Wagtails and eight Grey Wagtails passed through. Fourteen Arctic Skuas and eight Black Terns flew west this afternoon and a Little Tern, a juvenile Little Gull and a first-winter Yellow-legged Gull were feeding offshore. Another male Southern Oak Bush Cricket was found in the garden. 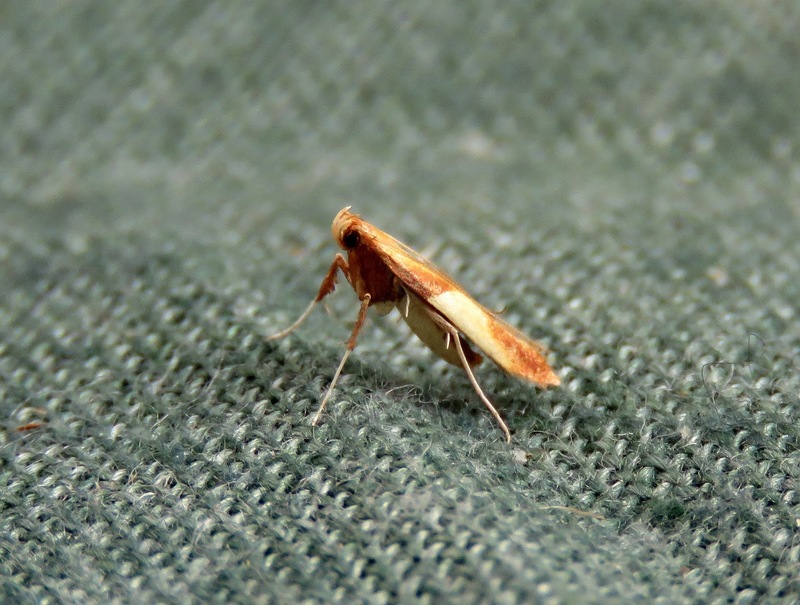 Moth trapping produced a new species for the Dungeness area in the form of the tiny Caloptilia alchimiella and brings the area Lepidoptera list to an impressive 1300 species. The moth trap was otherwise a bit disappointing with plenty of common moths but not a great deal in the way of typical migrants. A Gem was probably the best of the rest along with a Dusky Thorn, a Dog's Tooth and 17 Nomophila noctuella.